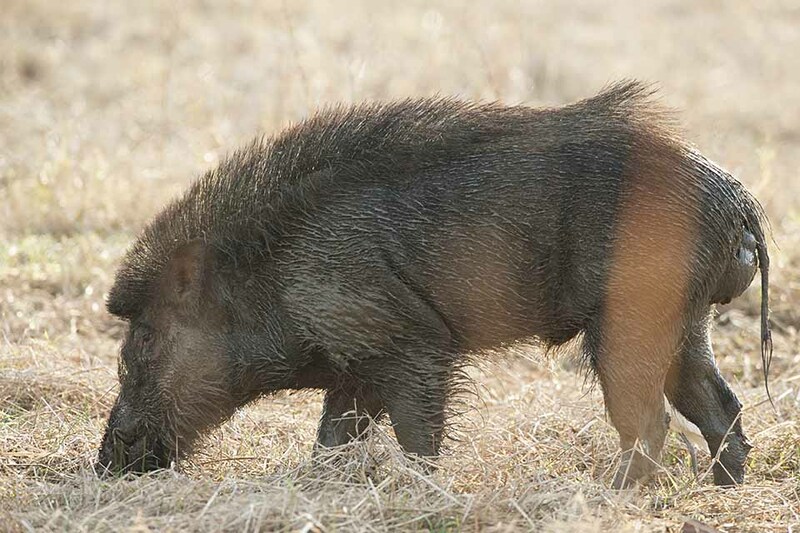 The overdose of adrenaline that I was talking about in the previous post came in the form of a Wild Boar. 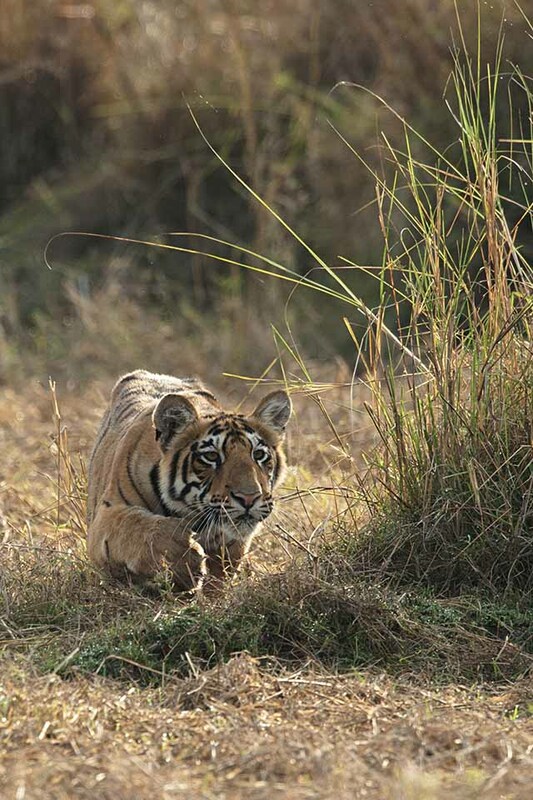 One of the Tiger cubs spotted the Wild Boar and its instincts kicked in almost immediately as it switched to stealth mode. 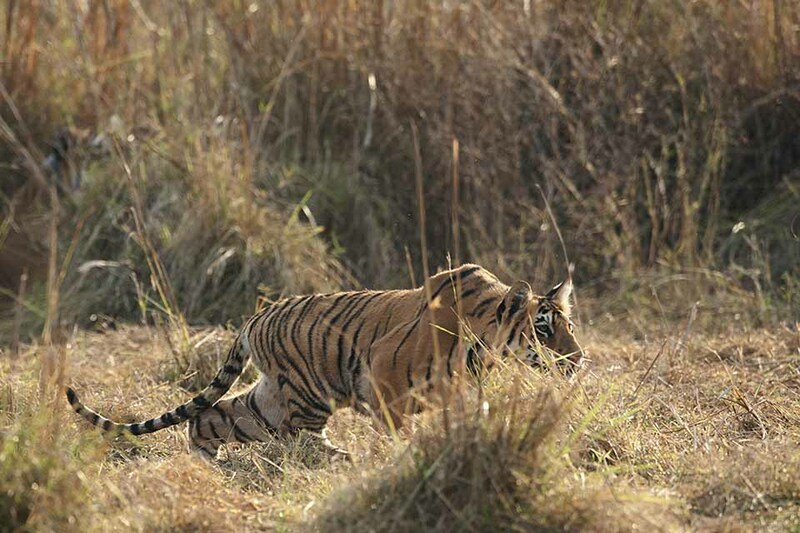 It was amazing to see this Tiger cub behave like a pro while stalking the Boar. I will let the next couple of pictures describe the action as I saw it. 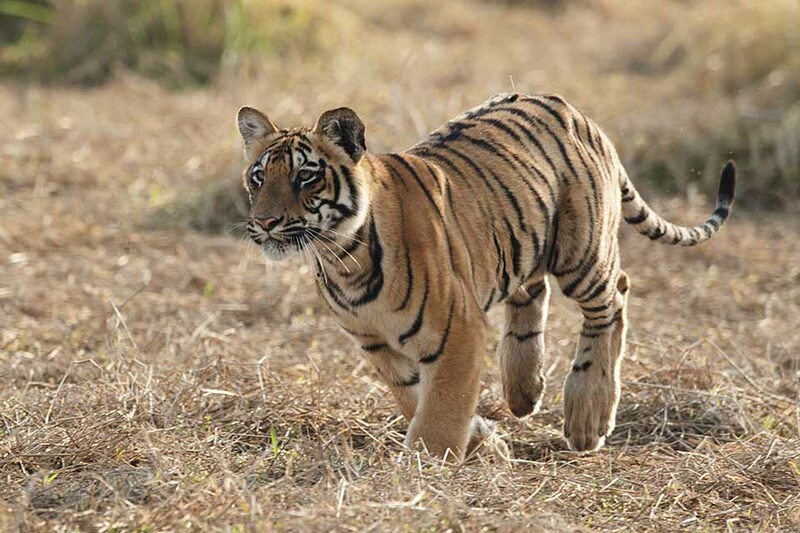 At this point the Wild Boar was directly between my safari vehicle and the stalking Tiger cub. 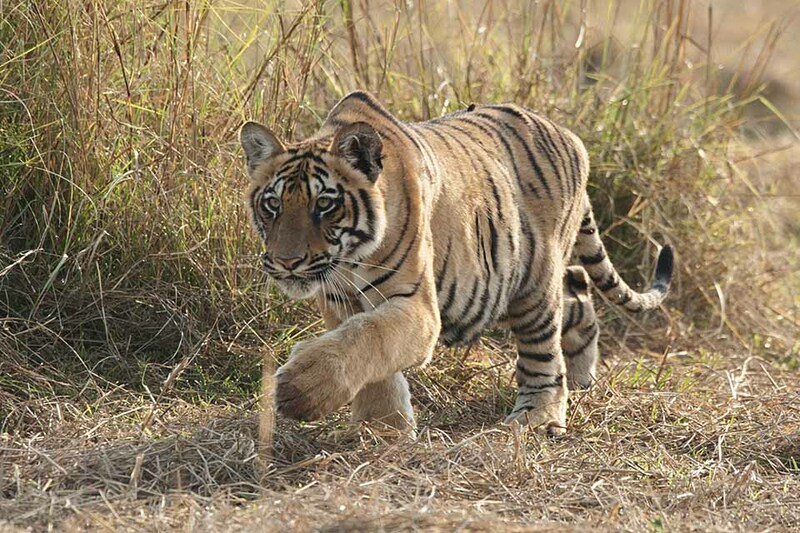 It was a massive prey and I was wondering if the Tiger cub had bitten off more that it could chew. 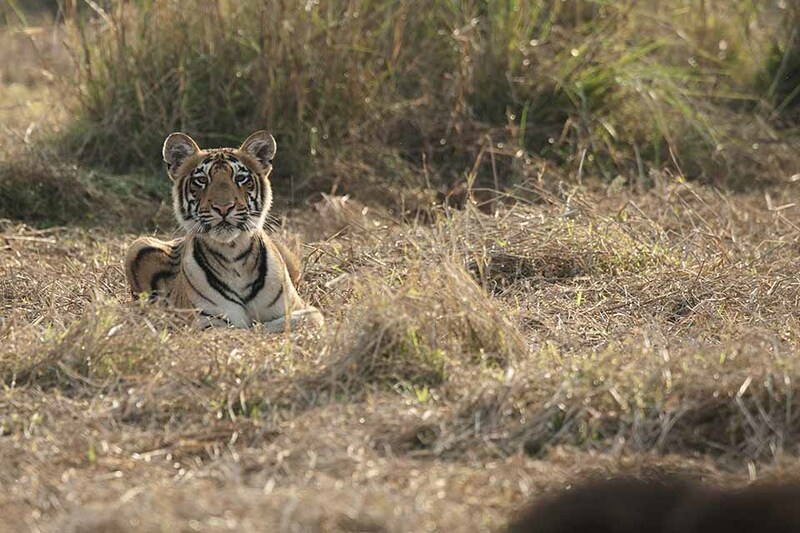 In the image below, we can see the Tiger cub contemplating its next move with the Wild Boar right between us. 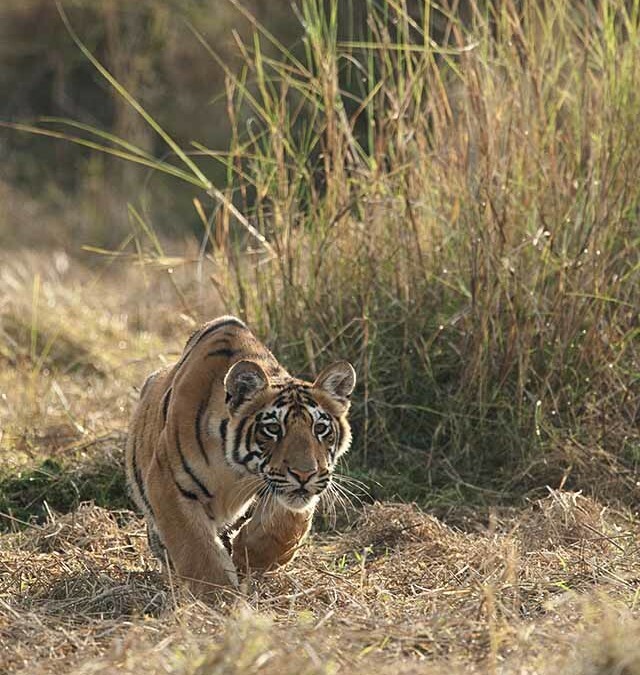 Out of the blue, the other Tiger cub broke cover and was immediately spotted by the Wild Boar, which took off in an instant. The cubs went chasing after it. But they were in no position to catch up, since one of them broke cover too soon. And they gave up the chase right in front of my vehicle. 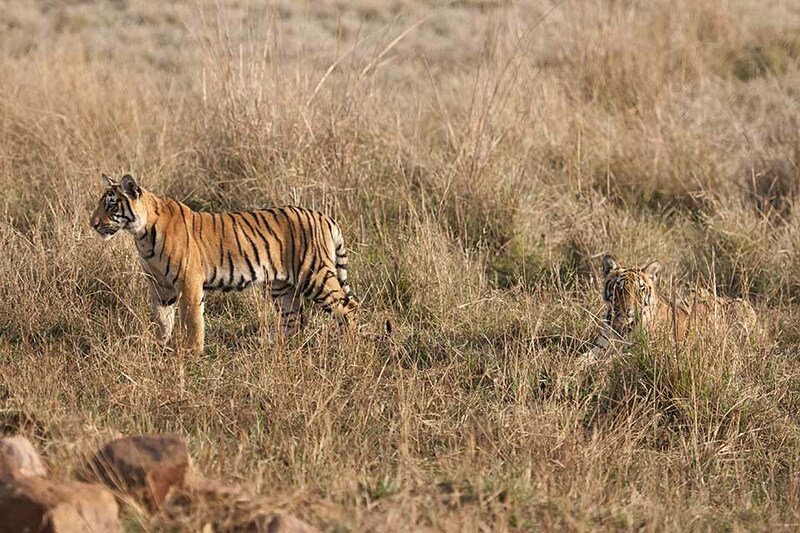 It was clear that one of the cubs (the one sitting down) had mastered the stalking technique much better than the other (standing Tiger).